In the past, to find spring water as pure and clean as Acqua Plose water, it was necessary to walk for hours through the mountains. Today, you can find the same freshness and lightness with much less effort, and a lot closer to home. The same goes for juices, iced teas and soft drinks. 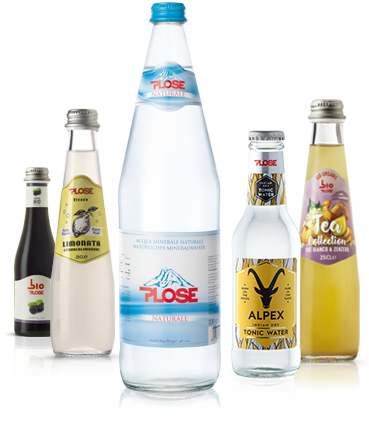 You can find Plose water in natural/organic specialized food stores, cafes and in the best national and international restaurants. Plose Vintage drinks and BioPlose juices and iced teas are available also in natural food stores, cafes, ice cream parlors, bakeries, and in high quality delis. otherwise if you were in Germany click here, and select your post code. If you actually are outside those two countries just contact Fonte Plose directly (email: info@acquaplose.it; tel. +39 0472 836461). Would you like Plose quality at home or in your restaurant?